The Ruger SR-series was first introduced in the mid-2000’s. The first SR handgun was the SR9 – a semi-automatic, 9mm, full-sized pistol (which led to the SR9c). In 2009, Ruger released its SR-22, a rifle which mimics an AR-15 platform rifle but incorporates elements of their tried and true 10/22 rifle. The Ruger SR-22 rifle is still being produced today, and it is a great entry-level AR-15 style kind of rifle, with a 10/22 edge. Note: the SR-22 rifle and SR22 pistol are confused fairly often, due to their similar naming/branding. These two models do share some attributes: both fire the .22 Long Rifle cartridge; both are blowback-operated; both are semi-automatic; however, in spite of these similarities, they remain two very different weapons. We’ll cover the differences, pros, cons, and more right here in this Ruger SR-22 Autoloading Tactical Rifle Review. Stock – Black Synthetic, Six Position, Telescopic. Sights: Rapid Deploy Polymer Sights. Capacity: 10 rounds + 1. The SR-22’s action is the same as the 10/22, and it uses the same kind of rotary magazine. The .22 rimfire cartridges are fairly inexpensive, and with the AR-style of handling and ergonomics, what you get is a powerful weapon which allows shooters to have fun, as well as train. The barrel is made of cold, hammer-forged alloy steel, and the rounded hand guard and frame are made of an aluminum alloy. The grip and stock are made of high-strength polymer, as are the sights. This rifle shoots very easily, and there is almost no recoil to speak of. The stock allows maximum absorption of the energy and provides a highly smooth shooting experience. The .22 LR cartridges are known for their shorter range efficiency, their low noise, and light recoil. Combined with the SR-22’s mostly metallic alloy build, it is a recipe for success. While the effective range is not as long as a 5.56mm or 7.62mm round, it is the perfect rifle and ammo for plinking, target practice, and mid-range encounters. Performance of the SR-22 rifle also has a lot to do with the choice of ammo and magazine. Some ammo types and magazines will cause this rifle to jam easily. There is no excuse for purchasing cheaply made .22 LR ammunition, in my opinion. The price of .22 LR is already relatively low as it is, so you should definitely invest some money and pick up quality ammo. 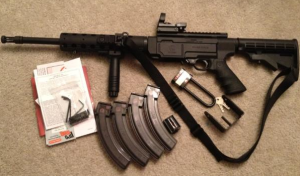 As for the magazines, the 10-round mags which come standard with the SR-22 are not an issue (generally speaking), but some of the aftermarket magazines can be difficult to manage, and could require some getting used to. There are some which must be loaded in a certain way, using a specific technique, or else jams are sure to occur. That is a disadvantage of those magazines, though, not the rifle itself. Just figured I should mention it. Not all ammo and mags are created equally, and – just like any firearm – the SR-22 rifle will prefer certain ammunition and magazines over others. As previously mentioned, the standard magazine for this rifle is a 10-round 10/22 detachable rotary magazine. The unique 10/22 magazine is part of what makes the 10/22-series such a reliable group of firearms to begin with. Ruger also produces the BX-25, a 25-round factory-made polymer magazine with metal feed lips, which Ruger guarantees to be just as reliable as their 10-rounder. The SR-22 will accept most 10/22 aftermarket magazines, but remember what I said about the use of aftermarket mags with this rifle. Many will work, some will cause jams. Do your research, before investing time and money on mags and ammo which could potentially fail and frustrate you. The factory 10/22 rotary magazine is patented and is designed to separate cartridges and provide extra-reliable feeding. One thing is clear: if you use genuine Ruger products – and maintain your rifle or pistol adequately – you will most likely never experience a failure to feed or failure to extract. Ruger’s rapid deploy polymer sights are adjustable for windage (rear) and elevation (front). They are lightweight sights which fold quickly and allow the uninterrupted use of optics. If necessary, they simply flip back up, and you are good to go. Some optic devices will allow co-witness aiming. Aftermarket sights are also very popular, and many users choose to take advantage of that Picatinny rail and mount a red dot or scope of some kind. More on that in the ‘accessories’ section of the article. The Ruger SR-22 rifle has a cross-button safety switch, similar to the 10/22, located near the trigger guard. The safety can be operated only when the hammer is cocked. When the safety is engaged, it will protrude from the right side of the trigger guard. When the safety is disengaged, it will protrude from the left side.The red band indicator will show when the safety is off, but in poor lighting conditions, it is not as visible. The switch from the on and off positions should produce an audible clicking noise. Assembly and disassembly of the SR-22 rifle are a little more complicated than other rifles. Even though some elements are very close to that of an AR-15/M4 style rifle, the SR-22 still retains the internal mechanism of a 10/22. When it comes to field-stripping, it definitely resembles the 10/22. If there is one significant flaw in the SR-22, it is its stripping time. Hex screws, Allen screws, and pins are all involved in the basic disassembly of this firearm for cleaning and inspection, and this is one area where it falls short of similar weapons. It takes time and tools, and is not too user-friendly, to be honest. On the other hand, you almost never need to clean this thing. Unless it gets filled up with mud and gunk, you won’t need to clean this rifle. 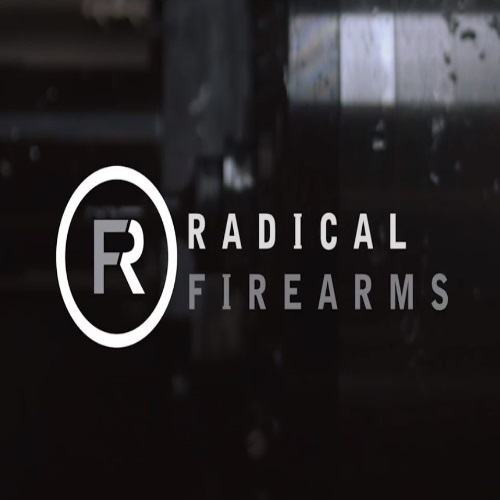 It is one of the most reliable of its kind, and there are many shooters who put countless rounds through it without resorting to cleaning it, and without any failures to feed or eject. The suggested retail price for the SR-22 is $709, according to Ruger’s website. The SR-22 is still being produced today, so its street price should be less than that. I have seen it online for ~$500, and it could probably be found at that price – or lower – at gun shows or firearms conventions. Your local gun shop will probably have some more moderately priced SR-22 units as well. Sling: First off, a sling. This is an accessory which most rifle owners pick up immediately, whether it is a single-point, a two-point, etc. A good sling will save you energy and muscle aches, help you cut down your reaction time, and improve your shooter’s stance. The SR-22 comes with a single attachment point, and sling swivels can be purchased separately for mounting different kinds of slings. Either way, a sling can be a life-saver and particularly a limb-saver. Get one. Grip: The rounded handguard is convenient, but adding a vertical or angled foregrip is always a good idea. It provides you with a tighter point of contact when entering your stance, and significantly adds to the stabilization of your initial and follow-up shots. The vertical ones are often foldable, which is also convenient. Optics: This part depends entirely on your intended use of your SR-22. You could go with a laser, a red dot (with or without a magnifier), or a scope. You can get replacement factory sights, fiber optic night sights, or a flashlight. There are many optical devices to choose from, but you should focus on whether or not you need whatever it is you are considering purchasing. Necessity before tactic coolness, always. No point in adding bulk and weight to a rifle which is primarily metal alloy, unless it can give you a serious edge of some kind, and assist you with your training. Note: Even after you install your chosen optics, remember to continue training with your standard stock/backup sights. You never know when an optic is going to fail on you, and you should be prepared for any scenario. Practicing with your sights will ensure your readiness, and will further hone your instincts. 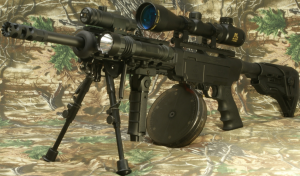 Other aftermarket accessories include high-capacity magazines and drums, buttstocks, flash suppressors, rail extensions and covers, thread protectors, bipods, rifle bags, and more. This rifle is not for everyone, but it is putting up a good fight against the AR-15 rimfire rifles which are being produced by other manufacturers, such as Colt and Smith & Wesson. The SR-22 is a lot of fun to shoot, overall. .22LR cartridges are always a good choice, whether plinking out in nature or target practicing at the range. You can mount whatever you want to that rail, and really customize your rifle to fit your needs. The major disadvantage of this rifle is the takedown factor. The SR-22 never gained much popularity as a home-defense weapon, and it wasn’t meant to do so. 9mm and .380 caliber weapons have got that market covered. Clearly, this is a weapon meant for other uses. The standard capacity of 10 rounds is somewhat limiting, but factory-made magazines and aftermarket options are readily available. 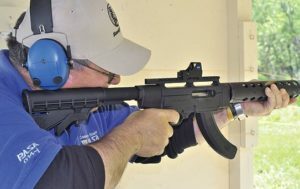 The weight is another issue, but then again, some people want to really feel the rifle, and generally put more stock into steel-based firearms. The price is right. Not the MSRP, but the street price. If you can find it for less than $500, that is already a pretty good deal. Ruger is known for their high quality and reliability, and this gun is no different. A 10/22 in an AR-15 chassis – it is an interesting model, to say the least. It is not simply an AR-15 chambered in .22LR. The magazine is patented, the action is legendary, and the performance is more than satisfactory. Ruger set standards in the firearms industry, and the SR-22 is another great product in a long line of rifles which Ruger produce. Fun, convenient, and accurate. Looking to learn more about Ruger guns? How about the LC9? 556? 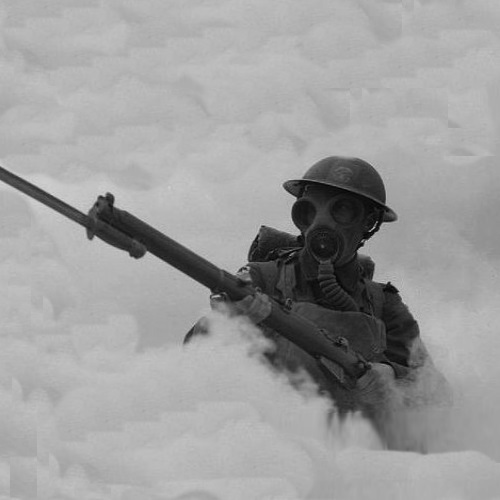 Mini 14? It’s all right here at Gunivore! Very informative article. Everything you need to make a educated decision. Thanks for the time and effort to share your professional knowledge.